At Kalamazoo College our motto is "be light." In order to be responsible global citizens who are truly "at home in the world," we must work hard to keep our home clean and safe for future generations. Environmental responsibility is therefore at the core of our mission as human beings and as an institution. 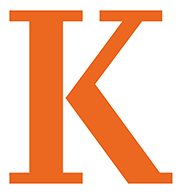 With recognition that the achievement of this mission is possible only with environmental consciousness, the constituents of Kalamazoo College have integrated the following founding principle into our Honor System: Accepting Environmental Responsibility. "To maintain and improve the condition of our physical environment, we commit ourselves to the respectful and prudent stewardship of our community's material and natural resources." As a prestigious liberal arts educational institution, K-College advocates for public policies that promote campus sustainability and encourages its members to participate in inter-campus collaboration towards a sustainable education model.